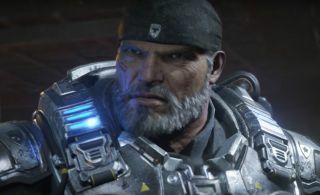 Gears of War 4 will get its first two DLC maps on November 8, Microsoft and The Coalition have confirmed, and you'll only need to pay if you want to play them early or in private matches. Both maps are updated versions of fan-favorite multiplayer maps from Gears of War 3. Here's a video tour of Checkout, which is looking a little overgrown but no less packed with waist-high cover. And here's an early look at the new Drydock, which has been built into a new ship-breaking yard location. You may be wondering about the "kinda-free" part of this article's headline. The Coalition will roll out all 24 of its planned DLC maps to public playlists over the next 12 months, but the new maps will be cycled in and out of the playlist over time. If you want to keep playing a map after it leaves the playlist, or if you want to use it in a private match, the host will need to own the Gears of War 4 Season Pass. Season Pass owners can also try all the new maps (and other stuff like extra modes and features) early in the Developer Playlist. Checkout and Drydock will join the Developer Playlist on November 1.